I’m so pleased to introduce you to these very special guests- my parents! They are going to teach us all about what to do to be ready for a disaster, and other emergency preparedness ideas. 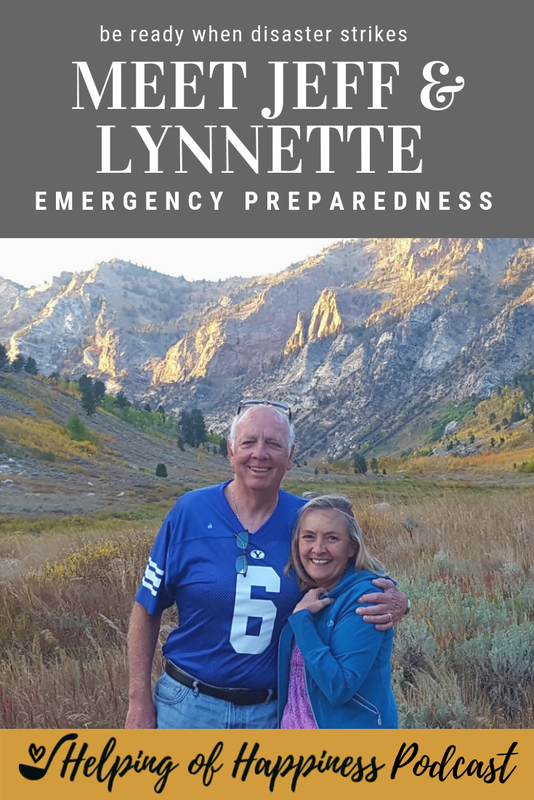 Meet Jeff & Lynnette Peters! This is one of Lynnette’s all time favorite talks about how we can build up food storage from Vaughn J. Featherstone. This is a great way to set up a Family Emergency Binder from Mom with a Prep. There are lots of great community resources out there as well.